You would think that month two would be harder than month one, but my experience has been that it was even easier to avoid buying anything. Once I got into the habit of ignoring stores, I just kept doing it. One thing I do receive is a lot of emails and SMS messages from various stores telling me about their sales and bargains. While I am tempted to opt out of those things for the duration of this year, that feels like it would not be quite cricket, to me. It is good to be tempted, to be reminded to look at the websites for the stores I usually like to buy from. It feels great to look at things I would like to buy and say no, I don’t NEED that. I met my goal, which was – February has 28 days. Why not try to make 23 of them no spend? We do not normally grocery shop on a Friday but The Other Half had to work on the Saturday, so we chose to get shopping out of the way. 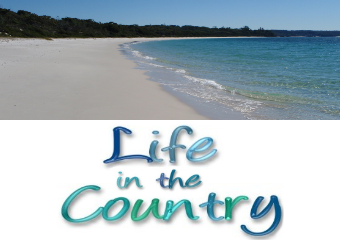 Magically the TVSN came out that same day, making one spend day for two things. Seems like it was meant to be. This month was a bit more tricky on the nails front than usual. When I had my nails done on the 30th of January I got them cut quite short and I had hoped I could get most of February out of this set. I don’t know if it is due to better nutrition or taking my vitamins every single day but in just over 2 weeks they had grown as much as they usually would in 3-4 weeks. They do grow faster in summer – in winter I might be able to get 4-5 weeks out of a manicure. Luckily, chicken breast was on special, so I killed two birds with one spend day. I would not normally have my nails done on a Saturday. I’m a weekday get my nails done kind of girl. But it worked out perfectly this time. I also had to sacrifice a no spend day to a haircut. I tried to make it for our Saturday shopping day, but my hairdresser was not working that day, so a random Thursday it was. I’ve followed her to three different salons now and she does the best job plus she has an accent I adore. 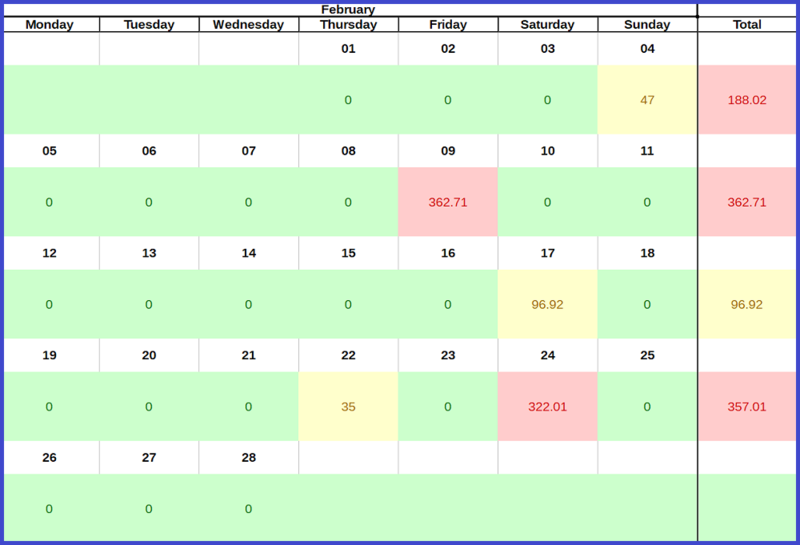 Had I been able to schedule it for Saturday I would have only had 4 spend days this month. I would have liked a longer no spend stretch, but I feel like this month went pretty well. I want at least 13 days in between shopping where I do not spend. I’m aiming for the 11th to the 23rd. This might be a little tricky though, The Other Half is on two weeks of holidays around that time. If I can’t manage that I would like two no-spend stretches of 7 days. My goal for February was to keep Coles to $120 and Aldi to $440. 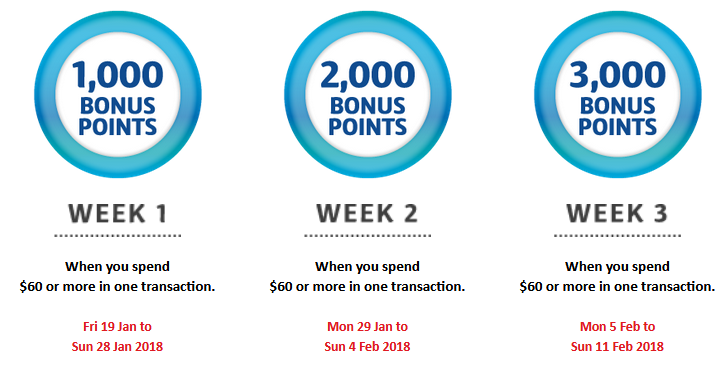 The first week of February was the last week of my spend $60 for 3 weeks to earn 6000 bonus points. We really struggled to find enough items to buy in that last week, and in the end I said hey, why don’t we try to buy enough eggs and ham with long use by dates and stock up for the entire month, then not go to Coles for the second fortnight. One reason I like to avoid Coles is because the food we buy there is generally junk food. The chocolate honeycomb went into a baked cheesecake and also mini no-bake cheesecakes – I had some cream cheese nearing the use by date and I saw a great recipe which I’ve used before for no-bake cheesecake on The Annoyed Thyroid. For the baked cheesecake I followed this recipe, only I replaced the caster sugar with honey, and swapped the lemon for chocolate honeycomb. That little cookery moment fed us dessert for many nights afterwards. I’d say at least 12 nights, and one of those nights we had family and friends round and served it for dessert. It seems like Coles knew what we were trying to do AKA avoid going there entirely, and thus they tempted us with this lovely offer. There was no way I could have put together another $70 worth of shopping. So while it was tempting to get another $10 off our shopping it was not especially cost effective in this instance. Kthxno, Coles! But the local butcher had chicken breast on special for $6.99 a kilo, so we took the opportunity to stock up with the money we would have used at Coles. After the first fortnight and the chicken breast, we were at $334.53 for our monthly shopping. This left us $225.47 for our final Aldi shop on the 24th. We spent $232.05. While we went over budget and I did not meet my goal, I am counting this month as a massive win because we were able to keep our Coles shop to just once. March has 31 days. I want to try and meet the $20 a day goal this month. That gives us $620 to spend on groceries in March. I’m really happy about the way the freezing mushrooms has been working out. This month I bought the button mushrooms twice, and somehow managed to get 3 packages of mushrooms to freeze around 200g each. This means I can completely skip buying and preparing mushrooms for one fortnight of March, or I can use the mushrooms in something else. The Other Half goes camping in early March, so for 3 days it will just be me eating. This means I get to make the foods he does not love but I do love. I am going to try adding feta cheese and olives to my Muffin Tin Meatballs – he will take half the mince as burger patties for the BBQ – and I will probably make Chicken Cacciatore with anchovies, olives and mushrooms. It’s a coincidence that I just read your thing about bonus loyalty points on shopping – I had one today for one of our Supermarkets for 4000 points when you spend £40 – that’s £4 off effectively. I was debating whether I could get the value from it until I realised that MrEH needed coffee, and it was on offer in that store – suddenly it all fell into place! 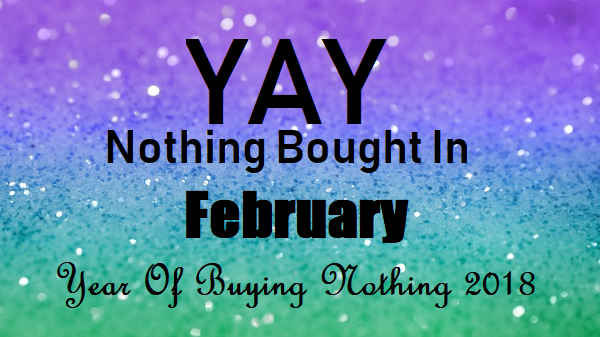 After my Frugal month in February though it was quite strange to be spending that much! The way I figure it, I’m going to need those things at some point, so it is better to buy them in bulk while they are on super special *and* get the points if possible. The time it is difficult is when nothing we buy is on special. I am a fiend for FlyBuys so I will often try and massage my weekly groceries where appropriate to cash in on those bonuses (which I then convert to Velocity points to get us Lounge membership worth $300) I like the idea of no-spend days rather than a flat blanket ban. Sometimes challenges like this teach us fantastic new tricks, like freezing mushrooms. If that is the only thing I gain from this year, what a huge win for me. That is so awesome and I am loving not being tied to the kitchen bench every Friday for mushroom prep, plus I love not having to worry about going to buy some on the alternate weeks. I like to stock up on things when they are on super special – this week I see cinnamon crunch muffins are half price so that will be a thing this week. ;) They are favourites of The Other Half and I like to add in things like black cherries or apple to mine.